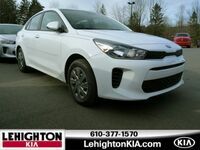 Affordable and dynamic, the Kia Rio sedan appeals to drivers who require a compact, efficient vehicle they can rely on. The latest Rio model offers a number of new and improved elements that compact sedan shoppers can take advantage of. 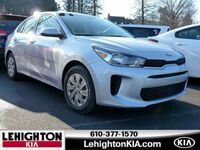 Drivers near Lehighton, PA who are interested in learning more about what the 2018 Kia Rio has to offer in terms of performance, design, safety, comfort, and convenience can check out the details below before getting behind the wheel at Lehighton Kia. Then, they can decide for sure whether or not it is the right fit for them and their lifestyle. 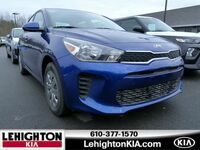 The 2018 Kia Rio is powered by an enhanced 130-horsepower Gamma 1.6-liter GDI four-cylinder engine that aims for better fuel economy and improved responsiveness. The engine is paired with either a six-speed manual or six-speed automatic transmission. 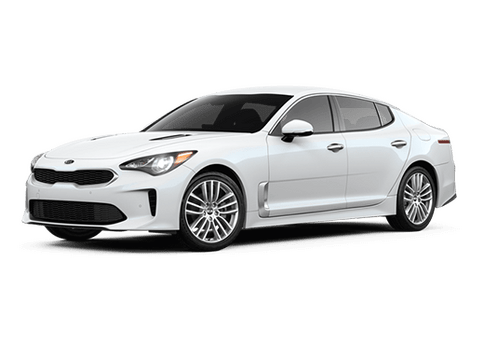 Updated exterior elements for the 2018 Rio include the latest version of Kia’s tiger-nose grille, newly designed headlights, a defined shoulder line running from the front to the back, more expressive taillights, and a more upright rear end. The 2018 Rio comes standard with advanced safety features, including Electronic Stability Control (ESC), Vehicle Stability Management (VSM), Hill-Start Assist Control (HAC), four-wheel Anti-lock Brake System (ABS), six airbags, and side-impact door beams. 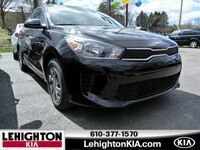 If you would like to learn more about the 2018 Kia Rio and its availability in Lehighton, PA, feel free to get in touch with our team at Lehighton Kia.